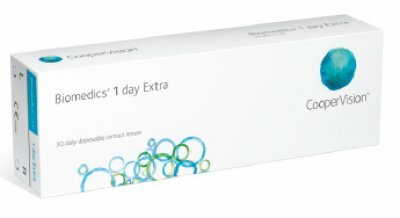 Do you need the flexibility of a throw away lens and want the comfort of a hydrogel contact lens, all day, every day? If so then Biomedics 1 Day Extra is the contact lens for you. These Daily disposable contact lenses offer you the convenience and comfort to suit your lifestyle and keep your eyes healthy and bright all day, every day.